It’s been awhile, friends, but we’re still here – and we’re hiking! We’ve been slowly, surely section-hiking the Mountains-to-Sea Trail, which stretches across North Carolina from – you guessed it – the mountains (Clingmans Dome in the Smokies) to the sea (the Outer Banks)! As of today, we’ve hiked 5.52% of the MST’s 1,175 miles. It’s a small and funny number – but one that we’re proud of. After a short two-night section-hike in Linville Gorge last summer, we’ve focused our efforts on day hikes near Durham, where we live. Around here, the MST traces the edges of the beautiful, mammoth Falls Lake (we still have over 30 miles around the lake to cover), and the Eno River (one of our favorite spots for short hikes). Here are some photo highlights from these lush sections. Y’all. Section-hiking is a lot of work! In many ways thru-hiking is simpler; you hop on the trail, and your job for the day is to cover miles, set up camp, sleep, and wake up and do it again the next day. 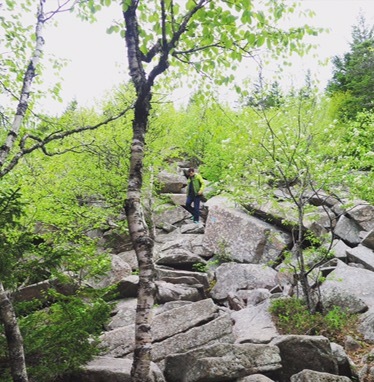 With some luck and grit, you can build up your stamina and become a hiking machine. But with section-hiking, you’ve got to fit short sections into your regular routine, coordinating the pick-up and drop-off locations of each leg, and making lots of trips to and from different trailheads. Plus, you never quite get your “trail legs.” But that’s real life, isn’t it!? One most excellent bonus of section hiking, though: You still get the sunlight through the trees, the stunning views, the muddy shoes – AND at the end of it, you get to shower and sleep in your own bed at night. Boom. 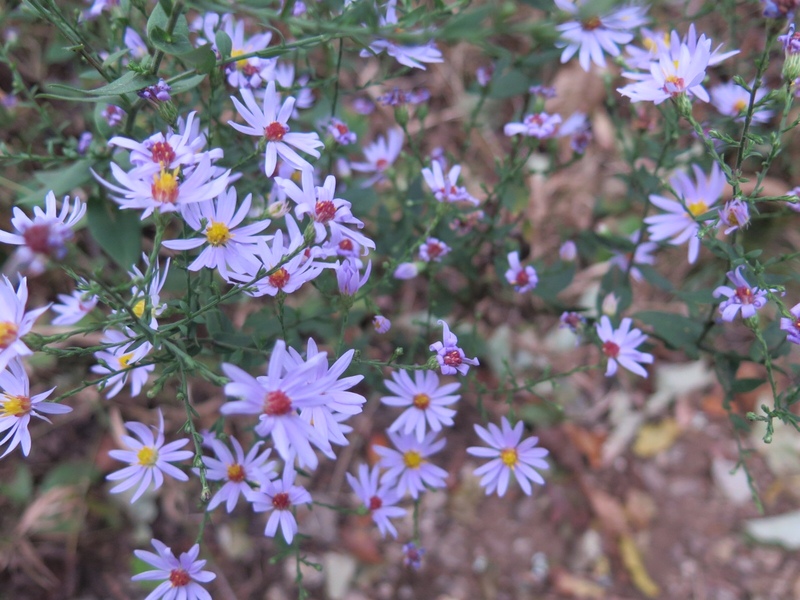 In the last few weeks’ morning hikes, we’ve been fortunate to witness the transformation of the seasons in the woods. Bare trees have given way to every shade of green, and the days are getting warmer. As we head further into spring and summer, there’s still SO much of the MST to explore – nearby and on the other ends of this expansive state. We’ll keep trekking, and we’ll keep you posted! P.S. Big news! We have a new companion on our travels: Ruby! She’s our year-old pup, and while she doesn’t quite have thru-hiking legs or stamina (yet), she’s great company, and she keeps us very entertained on the trail. Linville Gorge has been called, by some glowing North Carolinians, “The Grand Canyon of the East.” That’s a bit of an overstatement, but the gorge is stunning. Certainly the Grand Canyon of North Carolina. Hands down. Veggie gazes out over the gorge from Shortoff Mtn. 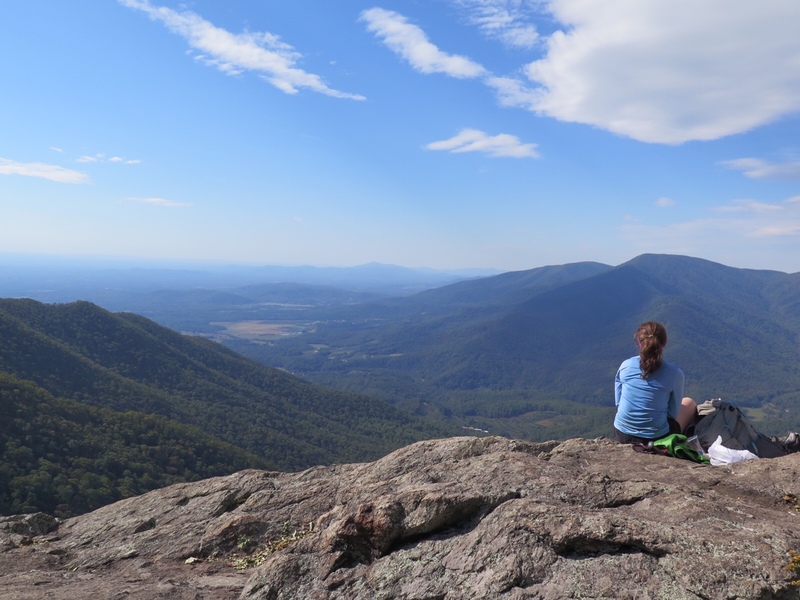 Pro tip: if you’re traveling to or from Asheville, you can access some of the best parts of the gorge – Table Rock, Hawksbill, The Chimneys, Shortoff – from the Table Rock Parking Lot. Stupendous day hiking along the ridge (and good picnic spots). Not exactly “on the way,” but worth the side trip. Trail’s a bit overgrown. Can you find the MST’s white-circle blaze? Two nights. 18ish miles total. Dropped in at Old 105/Kistler Memorial Hwy (beautiful views along the road, but make sure you are in a high-clearance vehicle). Climbed over “The Pinnacle,” before a sharp descent to the Linville River with views of Shortoff Mountain along the way. We decided to wade across the river that night. It was placid and wide, as it typically is. Camped the first night at an established campsite with a big group of fellow weekenders. Next morning began with a gnarly climb up from the gorge, fortunately with cloud cover. We were expecting rain, but got only crisp gray instead; welcome on an August day in NC, even in the mountains. Stunning views of lake James behind us. Reached top of Shortoff and peered down into the gorge. Fun to see the rest of our day ahead of us. Continued our ridge walk to the Chimneys, encountering a strenuous climb, made more challenging by the sun, which had finally emerged. Climbers and “high-liners” were navigating The Chimneys with rope and harness – a bit too daredevilish for us, but impressive. Reached Table Rock, which we summited. It was cloudy, but the view of the disappointed onlookers wasn’t too bad. Finished the day with a rolling descent on broad, leaf-littered trail to our campsite near Bucks Creek. Next morning we skirted along Steels Creek, which was truly rushing at times, and exited where the trail crosses NC 181. Like the Appalachian Trail, the MST in this part of the state can seem unforgiving: rocky, rooty, devoid of switchbacks. But it’s rewarding walking. The section through Linville Gorge is no exception. We recommend it highly! Looking out onto Hawksbill in the distance. Our feet have been itching. Fortunately, a long trail – well, really a long trail in progress – stretches right through our backyard. The Mountains-to-Sea Trail (MST) runs 1,175 miles west to east across North Carolina. 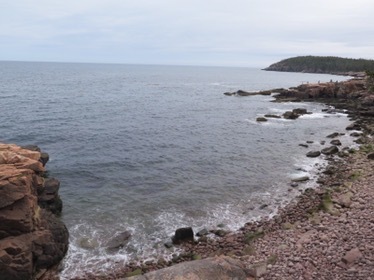 As the name implies, the landscape is remarkably varied. As the MST winds its way down from the Appalachian mountains to the beaches of the Outer Banks, it traverses everything between: farm land, urban greenways, marshes, towns. The trail is still a work in progress, especially compared to the established National Scenic Trails we’re used to. But dedicated volunteers are working to make the dream a reality. As a fun aside (and an indication of its building cred), legendary hiker Jennifer Pharr Davis is hiking the MST as I type. The thought of section hiking 1000+ miles, bit by bit, weekend by weekend, is somewhat daunting. But we enjoy a good challenge. The weather is lovely here most of the year, and all of the trail is within a few hours’ drive. Plus, it’s fun to have a project. Few people I’ve spoken with know the MST exists, or that more than 100 miles of contiguous trail encircle Raleigh and Durham. Most of our early attention has been focused on these nearby sections (10 and 11B, if you’re interested in exploring yourself or following along), with the occasional outing farther away, when time permits. For more information, check out Friends of the MST. And if you live nearby, come join us for a day hike sometime! We snatched a few days from the jaws of routine this week and found ourselves back on the Appalachian Trail for the first time in five years. About an hour’s south of Charlottesville, Virginia, along the Blue Ridge Parkway, the trail intersects with a parking lot at Reid’s Gap. Following the suggestions of many others, we parked our car and set out for the Three Ridges loop hike along the AT and Mau-Har Trail. 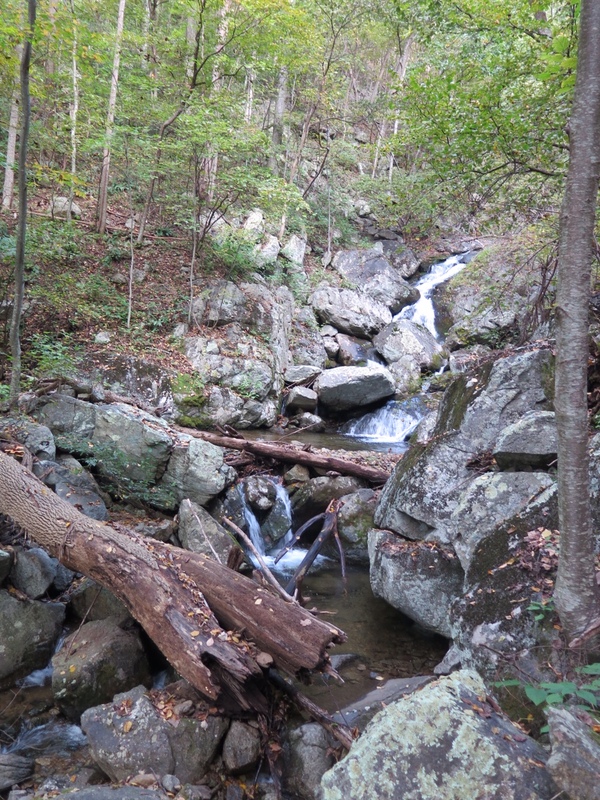 If you live anywhere within the vicinity of central Virginia, I’d highly recommend this popular 14-miler as either a long day hike or leisurely camping trip. Pros: very easy access, no red tape, outstanding views, plenty of camping, waterfalls. Con: immediately makes you wish you had more time in the woods. Veggie notes, accurately, that there are parts of our brains that only turn on when we’re hiking – habits and quirks that spend most of their time hibernating, but never really diminish. The familiarity we experienced this week was especially spooky. As we walked south along the AT, we wondered if we might get to high-five slightly younger versions of ourselves coming around the bend. I really enjoyed slipping back into our well-worn conventions and was surprised by how quickly I felt transported. We parked our car as the sun was setting and hustled about a mile into the woods to camp for the night atop a ridge. Though the view was still obscured by leaves, we caught a great breeze. The next day we cruised past the Maupin Field shelter and ascended (sometimes steeply) for some stellar views over the valley. On the south side of Three Ridges, a big, lethargic rattlesnake sat sunning in the trail, and wildflowers were in bloom. We took a quick break to sign the register at the Harper’s Creek shelter before connecting up with the Mau-Har trail until Campbell’s Creek. Contrary to our thru-hiking impulses, we set up camp around 3:00 PM, soaked our feet in the deep (and cold) pools, read our books for about six hours, and went to sleep. Luxurious. The next morning, we strode up the remainder of the Mau-Har trail, past numerous waterfalls, until we reconnected with the AT. After that, it was an easy jaunt back to the car. We sat in the parking lot for a few minutes while our hiker brains went back into storage. So long, and see you soon. We spent the last ten days gallivanting through Northern Italy! We rowed in Venice, partied for nearly thirteen straight hours at a wedding in Padova, ritzed it up in Como and found ‘paradiso’ along Lake Maggiore. It was my first trip to Europe, and each stop was filled with enough sensation and memory-making to fill a tome. But, since this blog is primarily about hiking, I’ll zoom in now on our two alpine days in what many call the most beautiful mountains in the world – the Dolomites. Comprised of carbonate sedimentary rock, the Dolomites have been slowly eroding since the Triassic, producing a landscape of upturned combs-teeth. Once puzzled by the discovery of marine fossils embedded in the peaks, it wasn’t until relatively recently that geologists understood the range to be a remnant of a tropical coral atoll, formerly undersea, but now in the sky. In the short scheme of human history, the mountains played host to treacherous WWI battles. Today, they host skiers and sunbathers. We stayed in the elegant Chalet del Sogno in the resort town of Madonna di Campiglio, a popular ski destination in winter, but just as enthralling in the summer. The surrounding mountains felt more High Sierra than Sound of Music, but that didn’t stop us from bursting into song. In European fashion, the Dolomites are speckled with Rifugi – mountain inns where you can kick off your boots, have a draft beer and a dynamite meal, or grab a bunk for the evening. We have a comparable system in the White Mountains here in the states, but the Rifugi seem far more numerous and almost absurdly well-stocked. Rounding a corner at 6,000 ft. and having the fog part to reveal plates of fresh tagliatelle and a full wine list? Makes even the most rugged hiker think, “Hm. I could probably get used to this.” To be fair, the Rifugi system isn’t all posh. It’s tough to pitch a tent among the crags, and the staff can heroically spring into action for search and rescue. With limited time in Madonna, we still managed to get in some spectacular walking. On day one, we took the low road, following a gentle (if misleadingly-marked) trail system through the woods to two gorgeous waterfalls. Adjacent to Cascate Mezze we found (of course) a full-service rifugio with a lonely caretaker who likely has the grotto all to herself most of the time. The sun parted after a light drizzle to produce a misty rainbow. For day two, we set our sights higher. Sogno’s informed and adventuresome Alberto (who, we later learned, was an Olympic snowboarder), insisted that we “touch the Dolomites” in our remaining time. He helped us devise a route that would give us the most bang for our buck: take a cable car up to Groste 2550, hike south to Rifugio Tuckett, have lunch and a beer, then descend to catch a shuttle bus back to town. I initially scoffed at the need for vehicles on the front and back ends, but, boy oh boy, he did not lead us astray. I’ll let the pictures do the talking. We lucked out weather-wise, getting sun when we needed it and just barely beating an afternoon thunderstorm. The next two days were monsoonish (our harrowing drive down from Madonna is another story for another time), which, as always, added to everyone’s feeling that we’d just experienced something really, really special. You can see more of our photos from the trip at www.instagram.com/veggieandsquare. A few of our Pacific Crest Trail classmates are exploring the Pyrenees as I write this post (jealous!). So, naturally, we can’t wait to get back to Europe for a more extensive trek. It’s been more than nine months since we finished our PCT thru-hike. Of course, we loved that stunning trail, the hiking life and the rewards of being outside for months at a time. But our thru-hikes also helped us realize that we don’t want to think of our adventures as all-or-nothing propositions. (I.e. Either we drop everything and hike for five months, or we live, work and sleep in the city.) We’ve resolved to incorporate the outdoors into our weekend jaunts, to get outside for shorter stints, and to savor it. On Memorial Day, we finally made good on our resolution. 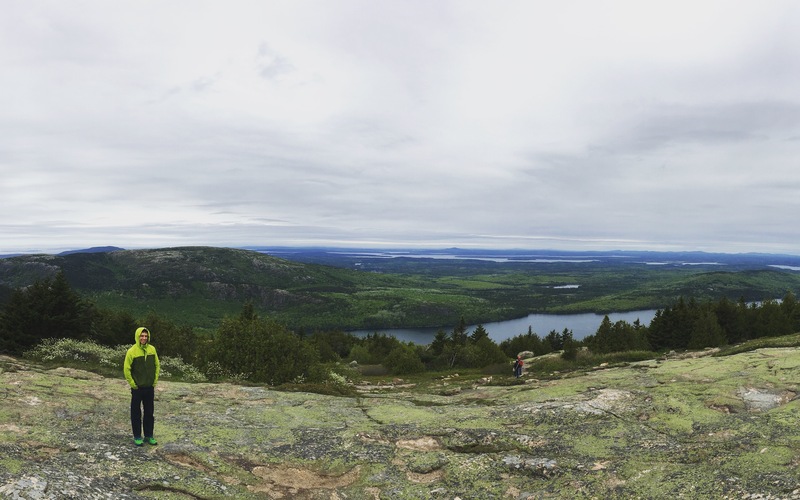 We dusted off our gear and drove up to Acadia National Park in Maine. 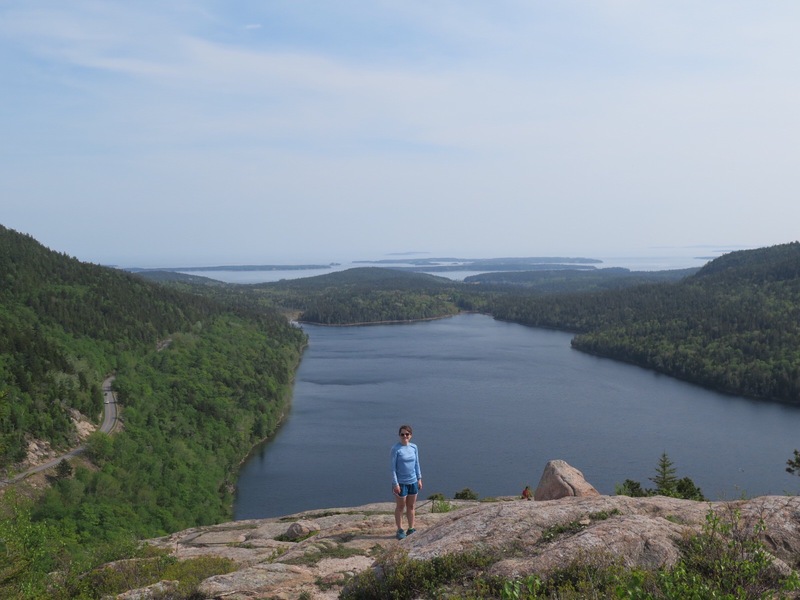 We spent the weekend taking on some lovely day hikes – into the woods and along the shore. 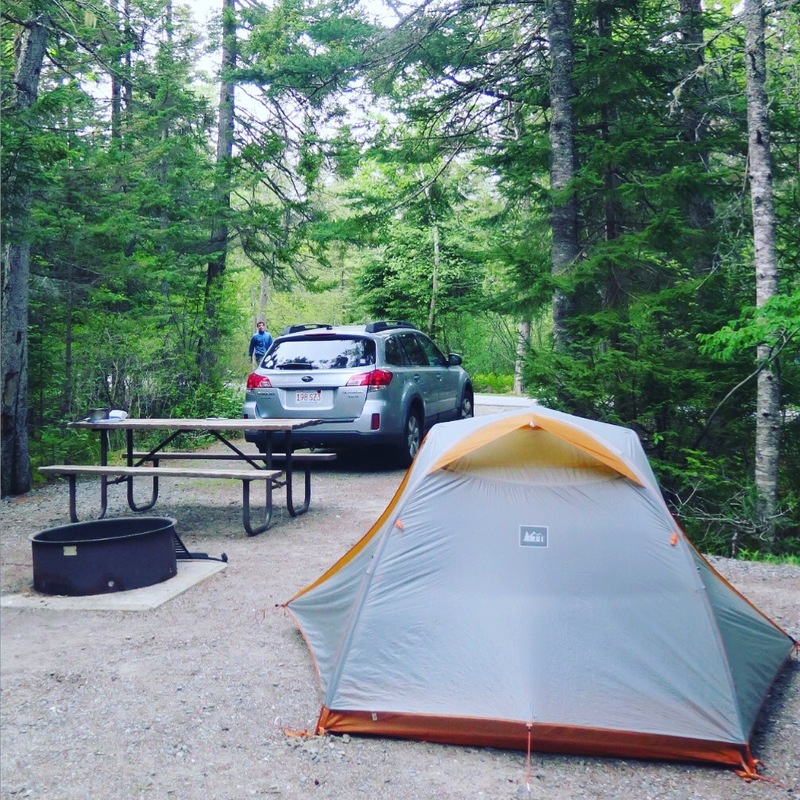 We set up our loyal tent at a designated spot in the park, and enjoyed the cushy amenities of car camping (something we’d never done, believe it or not!). 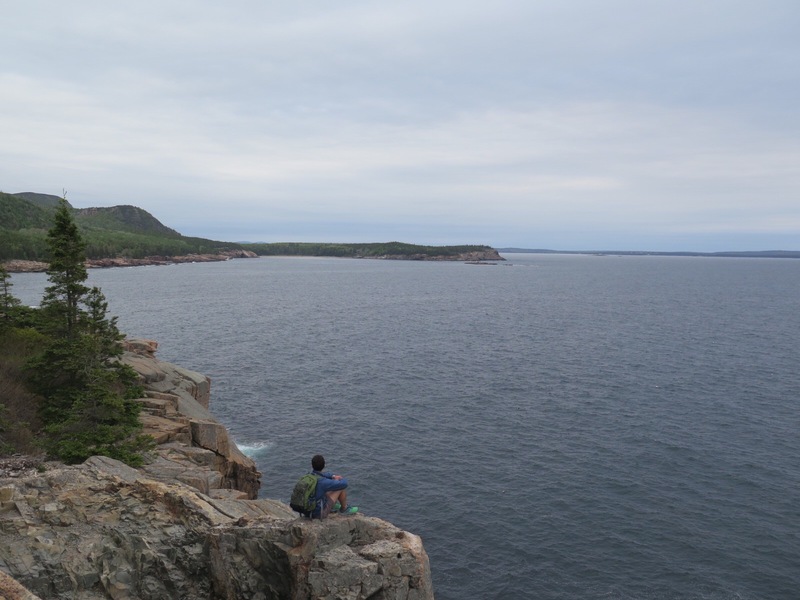 Acadia is a favorite spot of Square’s; in college, he and his friends would drive to the top of Cadillac Mountain to watch the sunrise over the Atlantic. He had taken many trips to the park through the years, but I (Veggie) had never gone. I was eager to cross it off my exploration bucket list. It was the park’s opening weekend, and this year marks the 100th anniversary of the national park system, so it was teeming with people. It certainly wasn’t a secluded wilderness experience, but it was great to see so many people exploring. A few weeks later, we took on a different sort of adventure. Back in November, fresh off the PCT and with our formidable “trail legs” still in fine condition, we confidently signed up for our first ultramarathon. (An “ultramarathon” is any race longer than 26.2 miles.) We felt invincible and were certain that – even though the race was eight months away – we would still be in tip-top shape and able to take on anything. 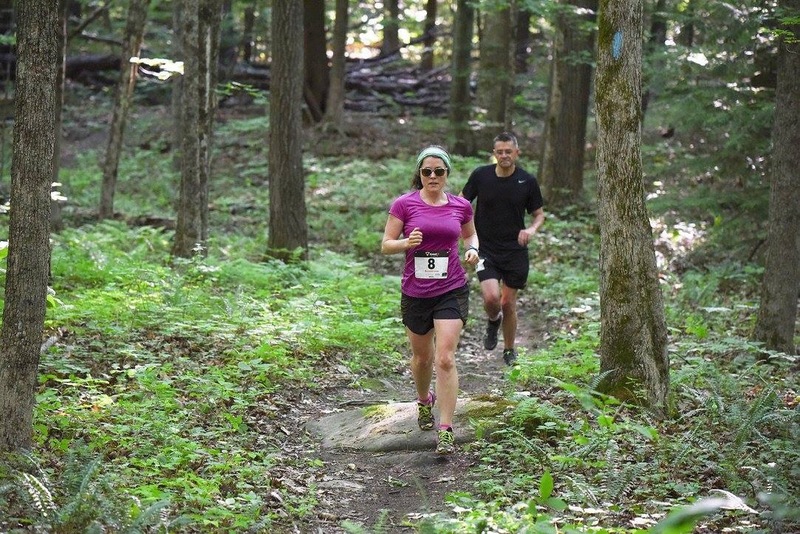 Alas, “trail shape” is truly unsustainable, especially through the winter and with any sort of routine that doesn’t have you hiking 10 hours a day. We did our best to keep up our running legs, but the race that seemed forever in the distance snuck up on us quickly. 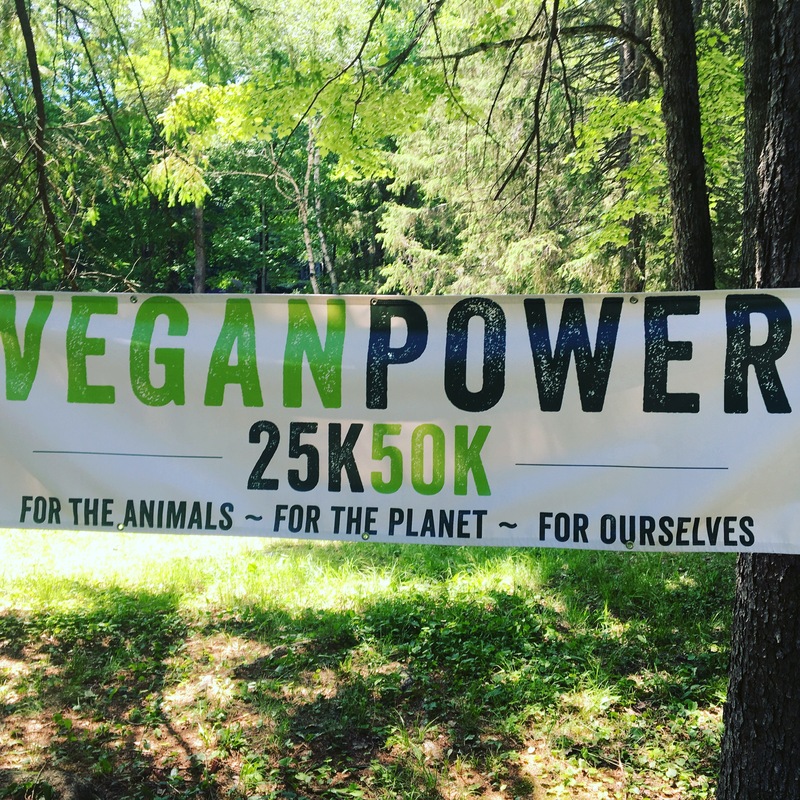 The Vegan Power 50K is a 31-mile race held in Pittsfield State Forest. The course is beautiful and shaded (much appreciated on a day that reached 85 degrees) with friendly volunteers manning aid stations with plant-based treats. But! 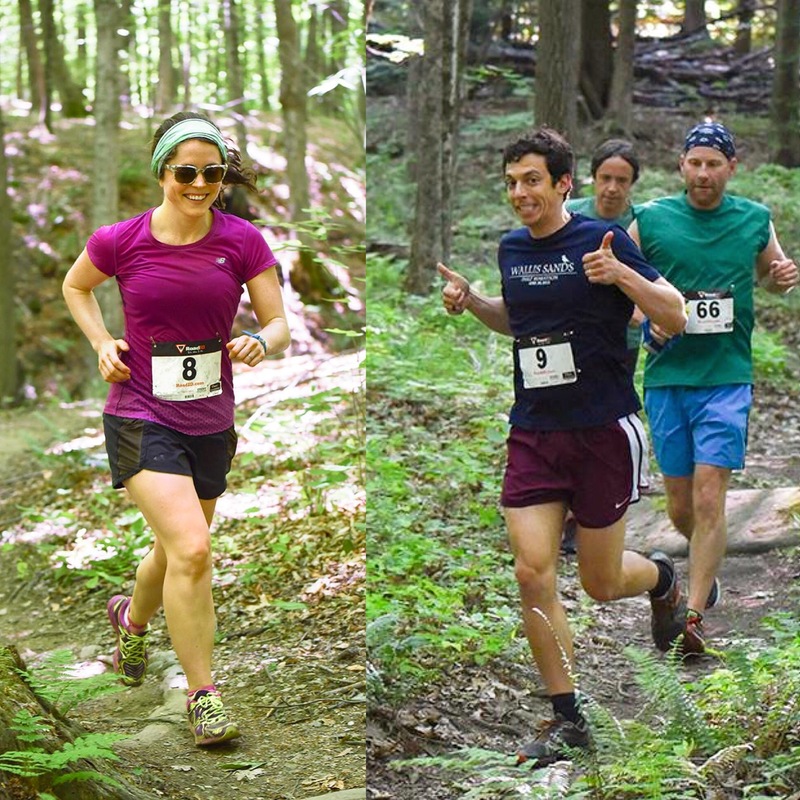 We each finished the race and, for the most part, had a great time. Trail running is much harder and slower than road running, but, as you might expect, it kind of felt like home, being back on a trail again. We met some wonderful folks, ate delicious food at the finish, and all in all were glad that we signed ourselves up for the ridiculous undertaking. So, with some recent trail time under our belts and the PCT nearly a year behind us, we’re eager to continue to take on some smaller adventures (and document them here). Thank you for following our adventures, big and small!